Now, let me start by saying that I don’t mean to just throw shade at all MLM business owners. MLM can get a bad rap that isn’t always deserved. But this example above (slightly adapted from a real message a friend of mine received) helps me address a lot of the do’s and don’ts of relationship marketing. Shall we get started? Do – Create connections with your customers/audience. Don’t – Ask them how they’re doing unless you genuinely want that answer and not just their money. Do – Ask for feedback and be prepared to hear the truth about your business. Don’t – Avoid conversations that might include critique of your company, products, services, etc. Do – Connect with your audience in ways that matter to them! Don’t – Stalk someone on Instagram just enough to find something to mention to fake a connection. Do – Use your marketing outlets to share new programs, products, and services. Don’t – Offer your services, unsolicited, to complete strangers without creating a meaningful connection. 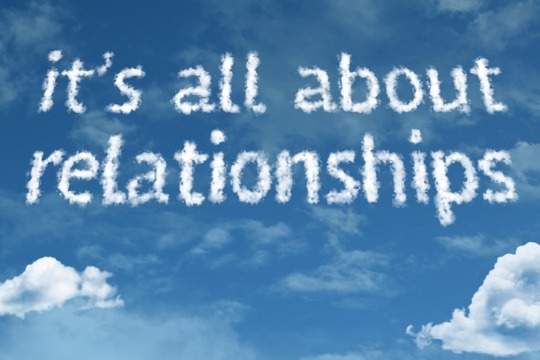 Do – Create meaningful connections that allow you to share what you do in a way that allows these new connections to take an interest in your programs, products, and services. Don’t – Force a connection just to reach your monetary goals. Do – Research to figure out who fits in your target audience and who would be interested in your programs, products, and services. Don’t – Assume everyone is interested in what you’re selling. Do – Understand the interests and behaviors of that target audience. *This is especially important for many reasons. 1. It’s not appropriate to point out someone’s weight, for example, as a sales tactic. 2. It’s not a good sales tactic. 3. Facebook won’t let you use their boosting system to advertise to people in this way. Connection isn’t something you can fake – at least not when you want the connection to last and turn into a successful business relationship. The connection has to be genuine and based on a real need for your programs, products, and services. One of my favorite examples of how we’ve applied this in our Facebook strategy is with a mammography campaign we ran for a local hospital. We were very selective about who we were advertising to because the demographic of those in need of a mammogram is very limited. The advertisements were shown to women ages 40 – 45 who lived within a 25 mile radius of the hospital. The advertisement was not sent to any men, teenage boys or girls, or even women under 40 – this demonstrates our audience having an actual need for the service. To create the connection, we used our Facebook page as the medium and worked to create quality content worth connecting with. Additionally, we created an advertisement that was warm, friendly, and clever in a way that this specific target audience would relate to. Take some time this week to look into your personal marketing strategies. Ask yourself this – are you creating genuine relationships and sharing content that helps your audience connect with you? When you’ve got that down and you’re ready to take it to the next level, give us a call! We’re here to help create lasting business relationships that increase your revenue.